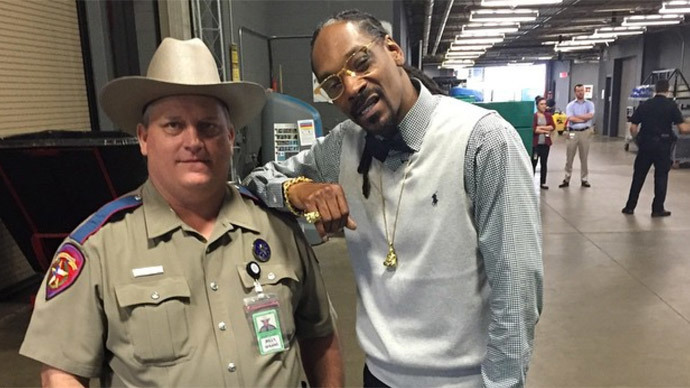 Reports of a trooper with the Texas Department of Public Safety being disciplined for posing with Snoop Dogg seemed shocking when they surfaced earlier this year, but a new lawsuit alleges it was par for the course given the agency’s past actions. On Wednesday this week, attorney Ty Clevenger filed a civil suit against Texas DPS and 10 state officials over what he claims to be a pattern of retaliatory action directed towards his client, Trooper Billy Spears, which peaked with the officer being disciplined in March over an Instagram post. The lawsuit alleges that the actions taken against Spears are part of a “sham investigation” designed to punish the trooper for filing a complaint against another cop and names the DPS and ten state officials as defendants. The trooper assumed posing for the picture would be harmless, Clevenger says, but soon after it prompted authorities to send a Texas Highway Patrol lieutenant on an 80-mile round-trip to serve Spears with an official disciplinary warning. The “counseling record” filed on March 24, 2015 states that Spears “took a photo with a public figure who has a well-known criminal background including numerous drug charges,” a fact Clevenger says his client wasn’t aware of.It goes on to say that the trooper should have been “mindful of social media outlets and how such photos can negatively affect the agency.” Clevenger immediately cried foul and said that the DPS was unable to actually point to any set policy that Spears had violated and contested the action because it will become part of the trooper’s permanent file. On his legal blog, Clevenger recalls hearing about two troopers being asked by their DPS superiors to take country music legend Willie Nelson on a tour of the state capitol.He includes a picture to prove it. “Apparently it’s OK to be photographed with a long-haired white musician who smokes weed, but not a long-haired black musician who smokes weed,” Clevenger wrote. DPS has refused to dismiss the disciplinary action and Spears is now taking legal action, claiming the state is going after him on purpose. According to the suit filed by Clevenger on Wednesday, the March counseling record is only the latest in a series of improper actions taken against Trooper Spears subsequent to his filing a complaint last year concerning Marcus Stokke, a sergeant with the Texas Alcoholic Beverage Commission. On May 10, 2014, Spears and Stokke became involved in a verbal altercation after Spears, off-duty at the time, attempted to carry an alcoholic beverage into a prohibited area at a concert. Spears complied with Stokke’s request to ditch the drink, but Stokke detained him nevertheless. “Sgt. Stokke then said he could arrest Trooper Spears for public intoxication, and Trooper Spears responded that he was not intoxicated, and that in order to arrest a person for public intoxication, that person had to be a danger to himself or others,” the latest complaint reads. “When Sgt. Stokke disputed that and boasted that he was a sergeant over 24 counties, Trooper Spears explained that he, too, was a state law enforcement officer, and that he was personally familiar with the law.” According to the suit, Spears’ response “enraged Sgt. Stokke even further,” leading him to detain the trooper without cause before finally releasing him without charge. Spears filed a complaint with the Texas ABC after the incident and alleged the officer had committed a Class A misdemeanor by conducting an unlawful detainment. “Rather than investigate Sgt. Stokke, however, Trooper Spears's superiors at DPS filed a disciplinary complaint against Trooper Spears because he had the audacity to file a complaint against another law enforcement officer,” the lawsuit reads. In the petition Clevenger alleges that Spears began being targeted last May after filing that initial complaint. At one point he was suspended without pay over the concert incident until it was brought before the director of DPS, Steve McCraw. “As a result of my decision, no disciplinary action will be taken against you. You will receive performance counseling from your chain of command,” McGraw eventually wrote eight months later in Jan. 2015. According to Clevenger, however, “performance counseling” is a DPS-specific reprimand that can’t be appealed, thereby leaving a scar on Spark’s nearly 10-year history as a state trooper. Spears signed off on the counseling record on February 4, but wrote: “I don't agree with this. 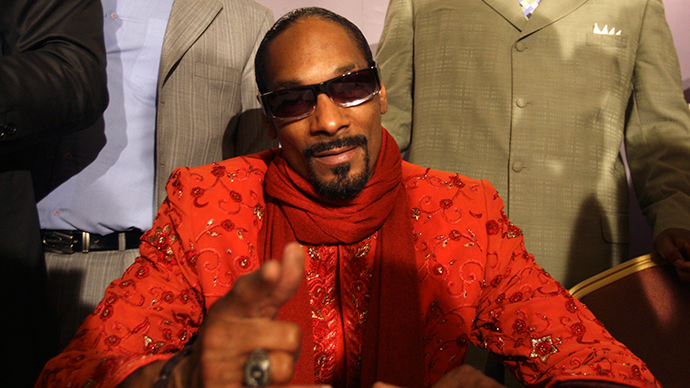 My signature is affixed to comply with policy.” Clevenger believes that statement further infuriated state officials and motivated them to file a second disciplinary action after the Snoop Dogg show less than two months later. "The DPS does not discuss pending legislation," the department said in a statement to Reuters.